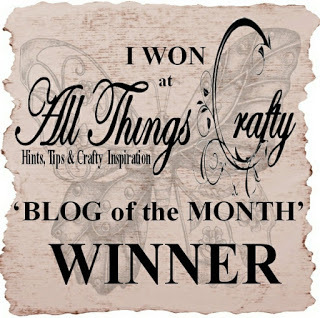 Hi and welcome to my blog (or welcome back if you’ve visited before). Today is St. David’s Day, the patron saint of Wales. And as it’s the 1st of March it means it’s time to show you another decorated page of my mother’s calendar. 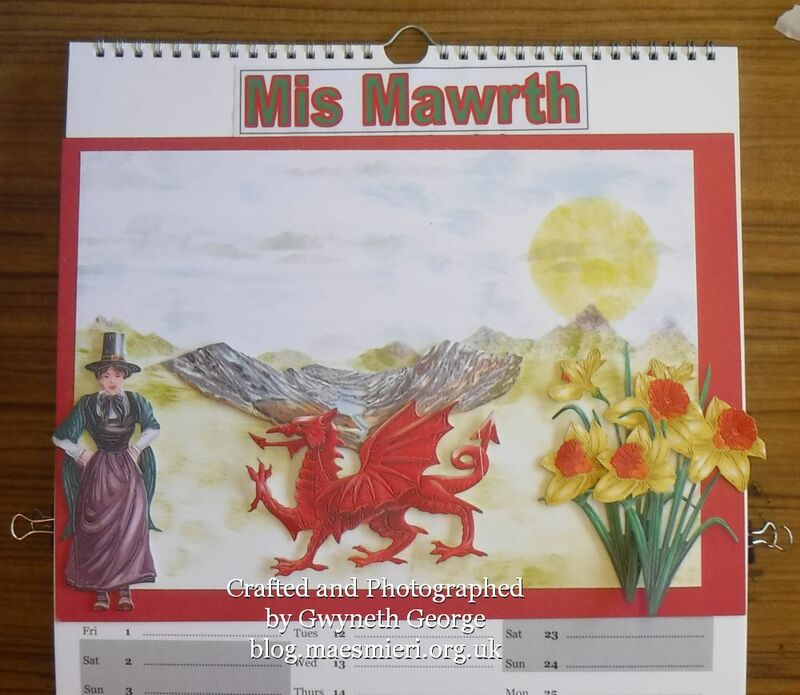 Because of St David’s Day being at the start of the month, and flowers starting to peep out in the garden, I decided to make a Welsh themed calendar page this time, including dafodils. 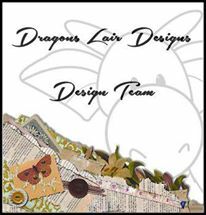 I’ve used several dies from the Tattered Lace Welsh Die Collection. I bought them via Create & Craft and there was a free download that came with them that allowed you to print out ready coloured, with bleed line, versions of each image and then cut these out when you don’t want to colour your own. For this project I did use the images already coloured which TL call Charisma. 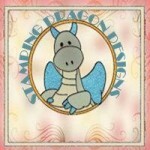 I also used one of the backgrounds I made during my “Playing With Ink, Stamps and Stencils” sessions. What I did, including some links to what I used to make the background, and a YouTube video, can be found on my earlier blog post – Here! I made a video of some of the stages of makeing this calendar page. You can have a look at it on the Crafftau Maes Mieri Crafts YouTube chanel. You can see the English version of the video – Here! Gallwch weld fersiwn Gymraeg y fideo – Yma! Background made previously – see blog with video – Here! Snap die cutting machine – I’ve got the battery as well so I don’t need to have it attached to the mains to work. 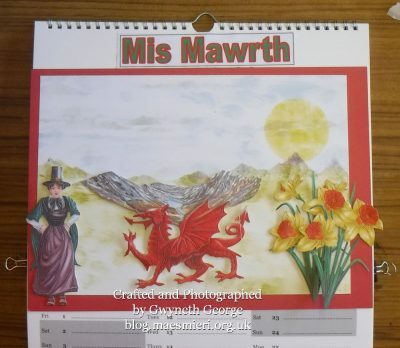 Month title in Welsh – created in MS Publisher and printed onto white paper. Made up the A4 piece to go on the front – look at the video to see how I made this. I purpously put the background image to one side for a different look this time. And then attached my creation to the calendar page. I have several bits of different crafting on the go at the moment, so keep an eye out for them over the next few weeks. Thank you for reading this blog post – I hope you like what you’ve seen and read. And thank you to everybody who’s left a comment on my previous blog posts – I really do appreciate you taking the time. You should find a box below where you can leave a Comment if you feel like it. (If you can’t see the comment box then there should be a link that says “Responses” and clicking on that will bring up the box.) Due to problems with Spam/advertising posts, I now moderate all comments before they go live. Genuine comments will go live when I’ve checked through the list – usually a couple of times a day. Notice: Some of my links might be monetised – click Here and scroll towards the bottom for more information. 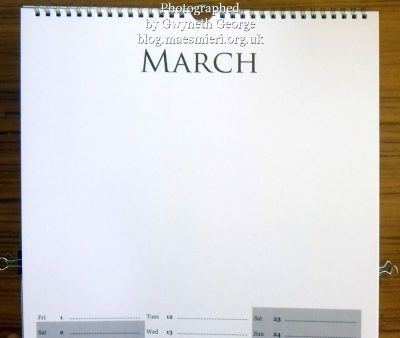 Another month has flown by, March already! 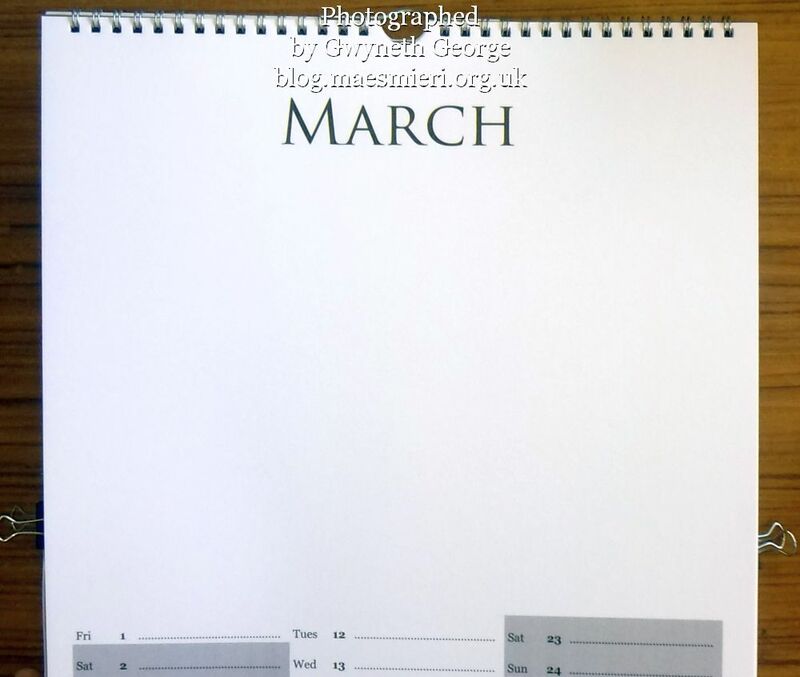 A wonderful calendar page to celebrate the month. 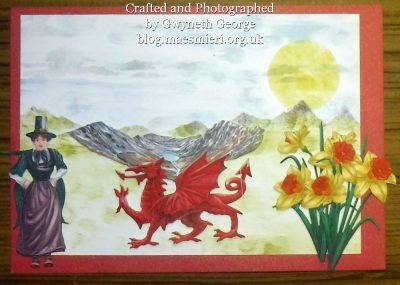 Happy St. Davids Day Gwyneth. Dydd Gwyl Dewi Hapus Gwyneth. A WONDERFUL page.